5th and 6th class students and their parents are invited to our Open Night on Wednesday, 20th September 2017 at 7pm. Come and meet our students and teachers. 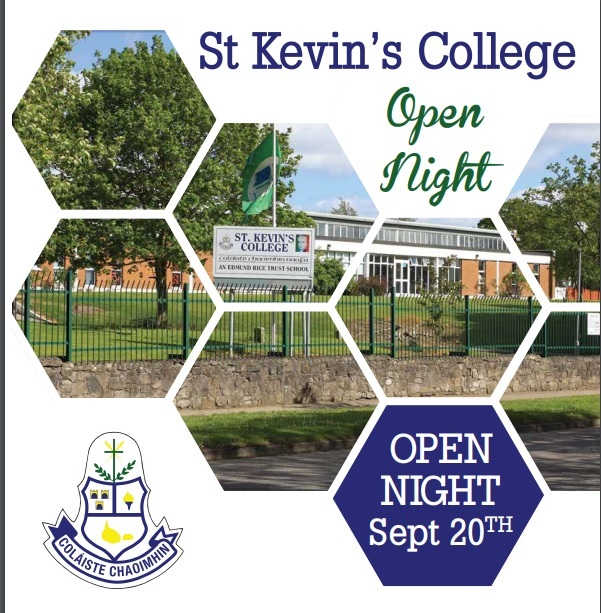 Take the opportunity to view our facilities and gain an insight into why St Kevin’s is such a fantastic school. The Principal, Ms Sarah Barry, and the Deputy Principal, Mr Dara Gill will address parents and students in the library at 8pm. Classrooms will be open from 7pm to 8.30 pm.